We were proud to show you the first glimpse at our Prometheus action figures and even prouder when we took almost the entire family to SDCC 2012. 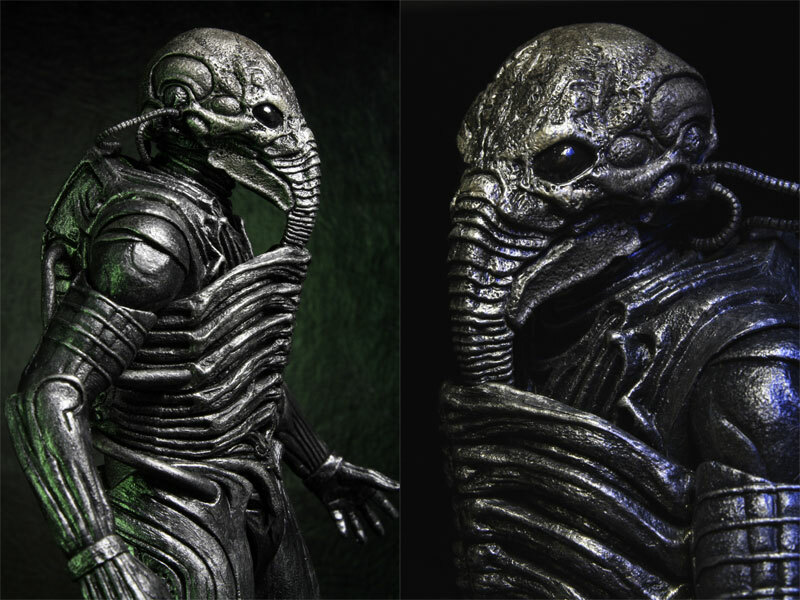 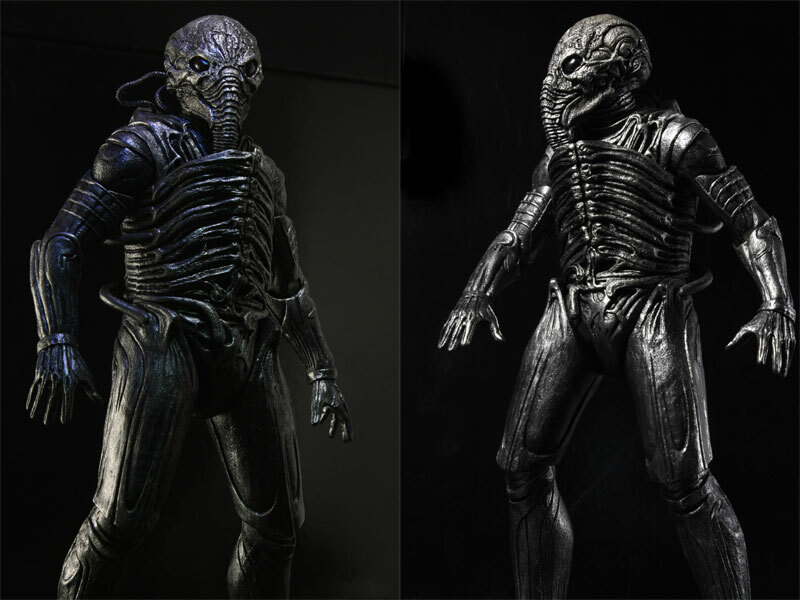 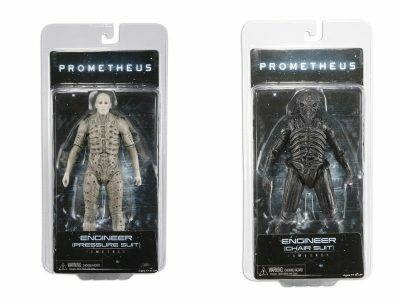 Today, we show you the official packaging for our Prometheus series 1 along some additional shots! 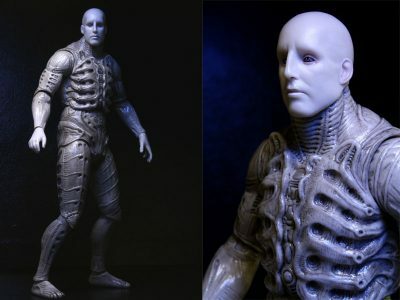 Both Engineers stand nearly 8.5″ tall and feature tons of detail and articulation. The Engineer is re-created in both his pressure suit and chair suit costumes and towers over standard 6″”-7″” figures. As you can see, both come in clamshell packaging. 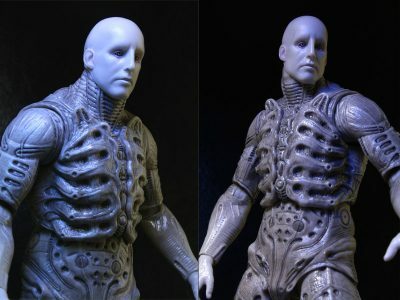 Series 1 will hit the shelves in less than a month, and we’ll post more shots and details as they get closer to release. If you have an Alien figure collection, better prepare a separate shelf for these guys, because as you know, they have family issues. 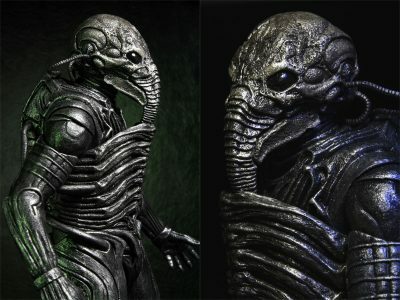 Friday the 13th Part 3 Ultimate Jason – Lenticular Packaging Sneak Peek!